Flood alert!! Typhoon Mario battering Luzon with rains and winds. Metro Manila paralysed! 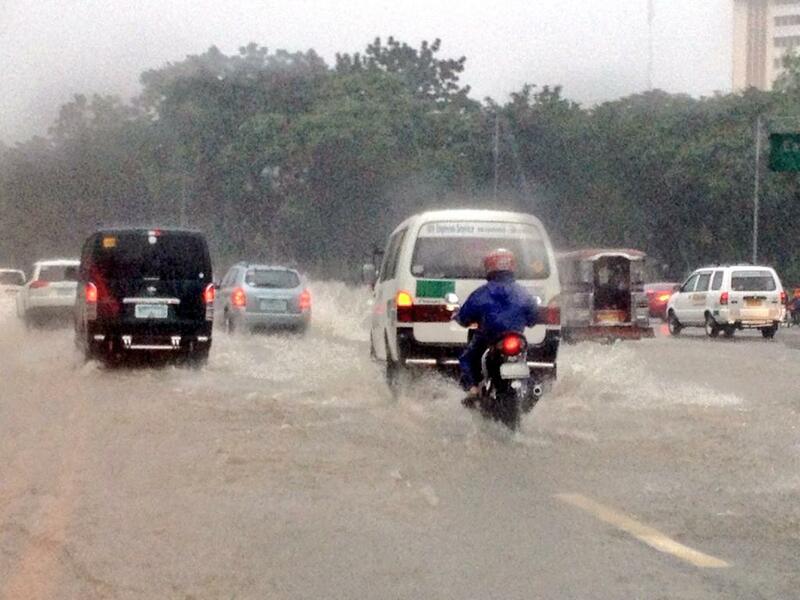 Heavy rains induced by tropical storm 'Mario' are bearing down on Metro Manila and Luzon. Streets are already flooding, and though the Metro Manila Development Authority (MMDA) is frantically sending out up-to-the-minute advisory on which areas are flooded and what streets are impassable, the exericise is all moot anyway. School and work both in the public and private sector have been suspended. So those trapped in the floods are simply doomed to wait it out. As of this writing, there are reports that major rivers, tributaries, and waterways in Metro Manila and across Luzon are in danger of overflowing and mass evacuations have been ordered. In Albay the coinciding of the storm with the eruption of Mayon Volcano is putting surrounding areas at risk of landslides.